The State of Israel has a commanding presence on the global stage, despite being a relatively small country in terms of land area and population. Situated on a narrow strip of land along the southeastern shores of the Mediterranean Sea, Israel is a dominating force in the Middle East from an economic, political and military standpoint. The country boasts of one of the highest standards of living in the Middle East and Asia. Its economy ranks among the top 50 in the world, and is growing rapidly. The country is also one of the few truly representative democracies in the Middle East. Israel’s population of 8.5 million people is smaller than the population of many major cities in the world. The ancient city of Jerusalem is regarded as Israel’s de facto capital, though its financial center is Tel Aviv. Other major cities in Israel include Ashdod, Haifa and Bat Yam. Israel boasts of one of the largest pools of high-technology workers in the world. The country is a hotbed of research and innovation, especially in areas such as information technology, communications, security, solar technology, water-conservation and geothermal energy. The country is home to large research and development centers of major technologies companies, such as Intel, Microsoft, Apple and Motorola. Though the country has only limited natural resources, Israel has managed to remain largely self-sufficient in food production as a result of intense development efforts and billions of dollars of strategic investment in the agricultural sector over the past several decades. The country currently is a net exporter of medical equipment, pharmaceuticals, military equipment and software products. Shipping a car to Israel, or shipping a car from Israel, is not very difficult, though it does involve a fair amount of paperwork. 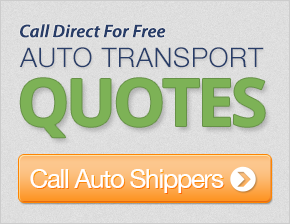 Many Israel international shipping companies provide car transportation and international shipping services to Israel from the U.S. and other parts of the world. Most of these companies offer a full array of services to help customers fill out all requisite customs paperwork and documentation. Often, such companies also help customers clear their vehicle through all the safety inspections and emissions tests that are required to import or export a vehicle between the U.S. and Israel. The cost of shipping to Israel varies depending on the location and destination, as well as other factors, such as the type and age of the vehicle, its size and weight, and the method of shipping. Israel international shipping companies transport cars between the two countries in containers or on board Roll on Roll off vessels. Most ports along the U.S. east and west coasts accept car shipments to Israel. The average cost for container shipping ranges from $1,500 to $2,000. Prices for international shipping to Israel on board a RoRo vessel typically tend to be lower by a few hundred dollars.